Subscribe our youtube channel here! In this episode of the Morale Monologue, I discuss what happened to me after my 8th injection of Spinraza that took place on Monday, March 11, 2019. Sometimes, after your injections, you may suffer from a few side effects, but the side effect that I went through probably had nothing to do with the Spinraza treatment itself. I tell what happened to me, and I also give you my advice on what to do if you notice any side effects after one of your treatments. In this episode of the Morale Monologue, I discuss my last Spinraza injection, that occurred on Monday, March 11, 2019. Overall, this was my 8th dosing of Spinraza, and I talk about the doctor’s decision not to withdraw any cerebral spinal fluid, (CFS). 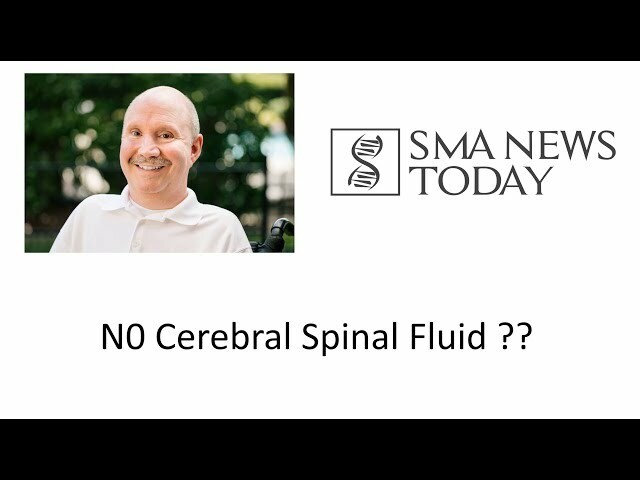 This was new to me, because up until now, every doctor withdrew 5 mL of cerebral spinal fluid before injecting 5 mL of Spinraza in my central nervous system. I go over the reasons why doctors made this decision and the benefits that could come from this decision. In this episode of the Morale Monologue, I’m going to discuss newborn screening for spinal muscular atrophy at the state level. SMA was recently added to the national registry of diseases screened for in newborns within the United States. Even though this is on the national registry in the United States, each state needs to adopt this testing at the state level. My video not only discusses this in great detail, I also give the viewers advice on what to do to help ensure that this test is being done in their state. We are so close to eradicating SMA in newborns, but there’s still a lot of work that needs to be done. Newborn screening gives these infants a much brighter future, and if we make our voices heard, these infants will never have to go through the devastating effects that we, as adults have had to deal with. Are you interested in understanding gene therapy? In this episode of the Morale Monologue, I’m going to discuss the recent physical therapy assessment that I had to go through a few weeks ago. This physical therapy assessment is required by all of us who are on active treatment with Spinraza. While some of us may go through this assessment every six months, some of us will only have to have this assessment once a year, and I discuss some of the things that they did with me so that they could see if I was achieving any benefits from the Spinraza treatments. I also discuss a few other things in my video, including my invitation to be a guest speaker regarding physical therapy and spinal muscular atrophy at UT Southwestern Medical Center in Dallas Texas. In this episode of the Morale Monologue, I’m going to be showing you a video that I put together when I went in for my last workout with my physical therapists. I’ve been doing core strengthening exercises for the past 6 months, and now that my core strength has improved, we are now working on balance exercises. Those of us with SMA, have a difficult time sitting unassisted, without any support on our backs or our sides. This balance exercises video will demonstrate the workout that I perform with my physical therapists. Not only does this exercise improve my balance, it also improves my core strength, such as my abdominal, back and side muscles. When I first started my balance exercises, I had quite a bit of difficulty just sitting unassisted, without anyone touching. Now, I’m able to maintain my balance, and I can now regain my balance if my body starts to lean forward, backwards and from side to side. 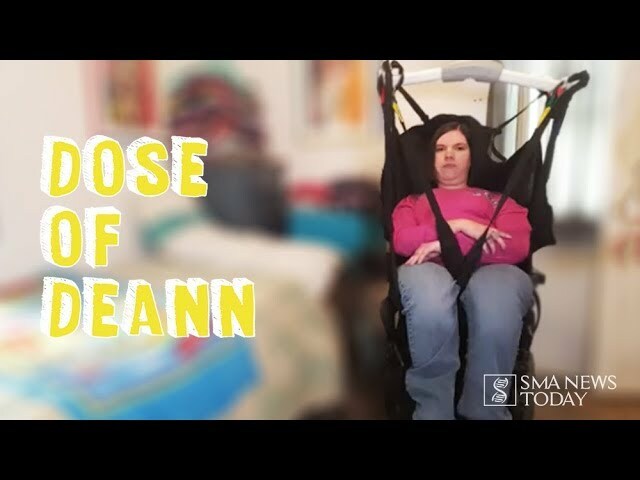 In the latest episode of “Dose of DeAnn,” I talk about my experiences with lifts and transfers. Transferring in and out of a wheelchair everyday can be tricky, and many people do it differently. And as I discuss here, finding the right type of lift presents many challenges. During this video, I show footage of me using both a standard hoyer lift and an electrical ceiling lift. I talk about what works for me and what doesn’t, and hopefully this video will help other people in wheelchairs out there find a transfer system that works for them. What are your experiences with lifts? What questions do you have? Be sure to subscribe to the SMA News Today YouTube channel for more videos like this. Recently, I came across a post in an SMA Facebook group, in which a family expressed their concerns about eating in front of their child. Their child has SMA and uses a feeding tube. To avoid making their child feel uncomfortable or excluded, they prefer to not eat in front of the child. As I read this post and saw other families with the same concerns, I wanted to share my perspective on this topic. 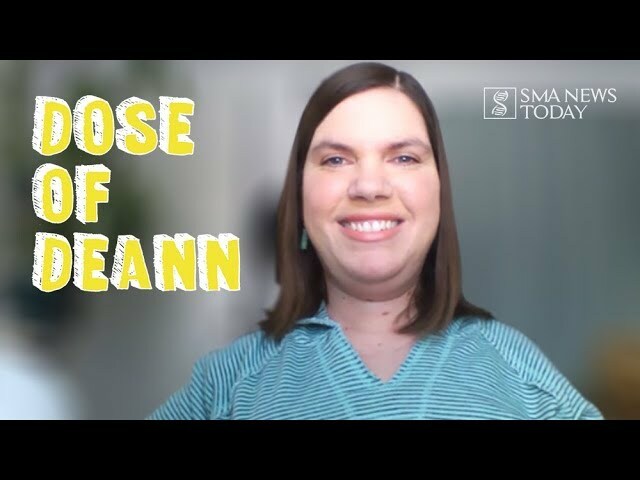 In the latest episode of “Dose of DeAnn,” I talk about why I actually prefer that people do still eat in front of me. I’ve been using a feeding tube for years, and I feel more excluded when people don’t eat around me. Also in this episode, I talk about some ways to make using a feeding tube more inclusive. This is an important subject for many people in the SMA community, and I can understand why people who don’t have SMA may not know how to include people who use feeding tubes during mealtimes. 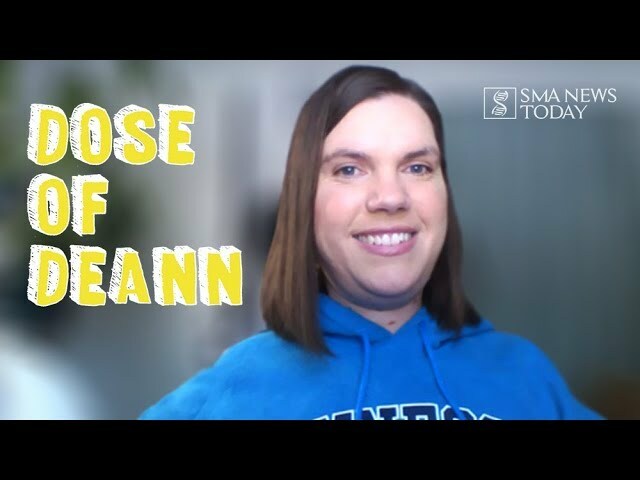 In the latest episode of “Dose of DeAnn,” I talk about being asked about my disability, and how I answer these questions. People often come up to me and say things like “Why are you in a wheelchair?” or “What happened?” The latter question really irritates me, and plenty of other people in wheelchairs. My responses tend to vary depending on the situation. I like to educate people about what it’s like to have a disability, but I don’t always go into detail about the scientific aspects of SMA. In this video, I provide several examples of encounters I’ve had with strangers. I also talk about why I prefer being asked questions than being ignored. What about you all? What do you do when you get questions about being in a wheelchair? Let me know what you think, and be sure to subscribe to the SMA News Today YouTube channel for more videos like this. 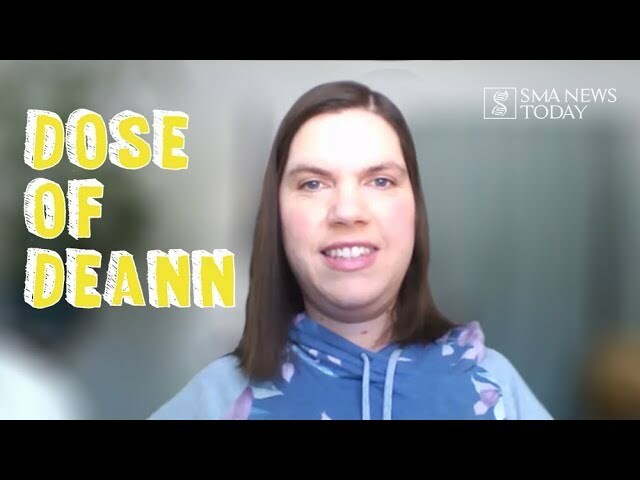 In the latest episode of “Dose of DeAnn,” I talk about the tools I use for binge-watching during the wintertime. Since winters here in Minnesota are so cold, I spend a lot of time hibernating. As such, I like to keep Netflix and Hulu on when I’m stuck at home. Mostly, I like to keep on a TV show as background noise while I’m working on something. I have a portable hospital table that I like to keep in front of me when I’m watching TV, and I put things like my iPad and Amazon Fire Cube on this table. This makes it easy for me to multitask, as it helps me to stay busy no matter what the weather is like. Check out the video to see what other tools I use. What are your binge-watching essentials? Do you have any shows or movies you want to recommend? Share your thoughts in the comments, and be sure to subscribe to the SMA News Today YouTube channel. 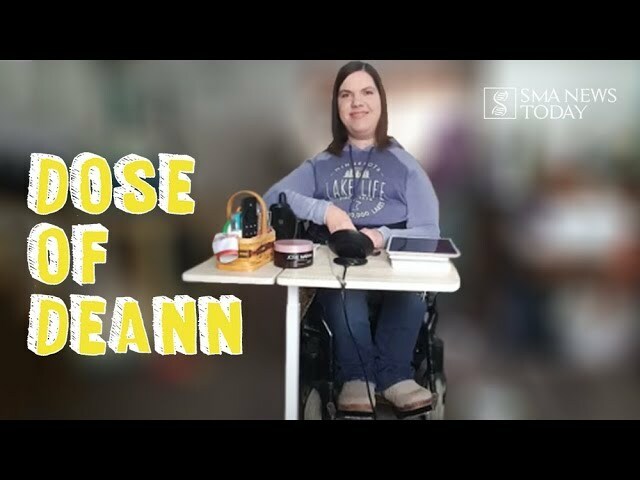 In the latest episode of “Dose of DeAnn,” I share my thoughts on the new movie “The Upside.” This movie stars Bryan Cranston as a wealthy quadriplegic named Phillip Lacasse, and Kevin Hart as his unlikely caregiver Dell Scott. “The Upside” has already sparked a lot of discussion in many disability communities, primarily over the issue of Cranston being an able-bodied actor playing a disabled character. This is common for movies that deal with characters with disabilities, and I share my thoughts on this issue in my review. There were things I liked and didn’t like about the movie, and I’d love to hear your thoughts as well. Have you seen “The Upside”? What did you think? Share your thoughts in the comments, and be sure to subscribe to the SMA News Today YouTube channel. In the latest episode of “Ryan’s Robotics,” I talk about how I acquired my JACO robotic arm. I take viewers through the process of testing out a model JACO arm, how I went about fundraising, and what it was like when I started to use mine. This video is straightforward, but I hope it will answer some questions for those looking to acquire one of these devices. Feel free to ask me questions here or in the forums, and also check out the company’s website at http://www.kinovarobotics.com. In the second episode of our new series “Ryan’s Robotics” on the SMA News Today YouTube channel, I talk about how my JACO robotic arm works. Like I talked about in my first video, the arm is mounted to the side of my wheelchair and controlled by my joystick. Here, I explain how to switch modes on it and operate each of its joints. I demonstrate how to move the arm up and down, turn the wrist, and move the fingers. With its different modes and functions, the arm allows me to use it for a variety of tasks in my everyday life. 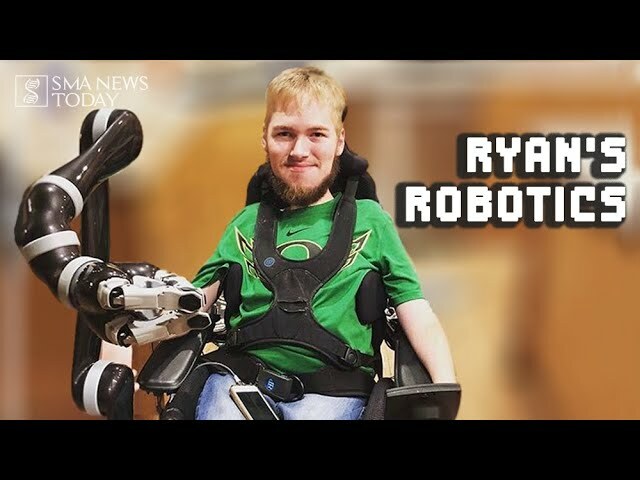 Hello, and welcome to the first episode of my new video series “Ryan’s Robotics” on the SMA News Today YouTube channel. In this series, I will show you how certain technologies help me live more independently. In particular, I will talk about my JACO robotic arm, a device I acquired in 2018. In this first video, I show you all some of the things I use my robotic arm for, such as getting a drink of water and operating my tv remote. This device is mounted to the side of my wheelchair, and I’m able to control it through my joystick. Throughout this series, I’ll talk more in-depth about how the arm works and the things I use it for. Let me know your thoughts in the comments section! Also, be sure to subscribe to the SMA News Today YouTube channel for more videos like this.